The relationship between Brexit and the British Left is a tense relationship. This is because large sections of the British Left, with valid reasons on both sides, are stuck between a Remain or Leave position. This split is weakening the ability of the British Left to present a united front on the issue of Brexit and the issue of Europe. The Left is currently re-emerging in Britain from the dire years of the 1980s and 1990s, but its political strength has been constantly undermined since 2016 due to the split over Brexit and Europe. Britain entered the European Economic Community (EEC) in 1973 and the EU in 1992-1993. Ever since then Britain has always failed to be consistent about what its policy was towards the EU. Subsequent Labour and Conservative governments have always failed on the issue of Britain and Europe, especially the governments of Thatcher and Blair. The current split on the British Left over Brexit, and the split in the British Right, has political and historical origins - specifically in the failure of British politics and British policy over Europe since 1973. The current fallout of Britain’s leaving of Europe is the political result of decades of splits and decades of failures. A great irony about Brexit and the British Left is that Brexit has caused a split in the first place. In the past, especially in the 1950s and 1970s, the British Left tended to oppose Britain being part of the EU, the EEC, or the integration of Europe. This changed in the 1990s, under the Blair Labour government, but the British Left has usually opposed the EU - because of the reality of the EU as a capitalist project and as a capitalist institution. The long-term nature of the issue of Britain and Europe means that British politics should have long ago noticed this split over Europe. Indeed the British Left, with its historic Euroscepticism, should have noticed the reality of Britain’s split over Europe. That British politics and the British Left failed to have a consistent policy over Europe is one of the key reasons why the June 2016 referendum result occurred, and is one of the key reasons why Brexit is proving such a difficult period and such a difficult subject today. The failures of the past, over Britain and over Europe, are coming back to haunt British politics and the British Left and Right. Brexit is dividing the British Left when, at any other time, Brexit should have united the British Left. 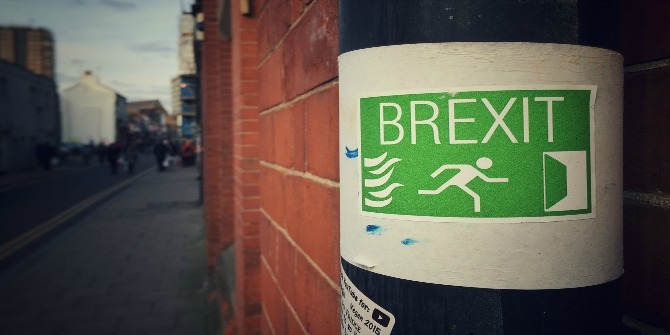 The split over Brexit in the British Left is understandable given the uncertainties of Brexit itself and the fact that Brexit became a key part of the politics of the British Right. Today, however, the British Left needs to be united in the type of politics it presents over Brexit and over Britain in the EU. Brexit is dividing British society into Remainers and Leavers. This divide is the reality of the crisis of British society today. Yet this crisis is not the only crisis in Britain today. The crisis of capitalism, the crisis of austerity, the crisis of the national question, the crisis of society, the crisis of politics, the crisis of economics — all of these crises in Britain are still unfolding in Britain. The answer to the split over Brexit on the British Left is to find a common policy on Brexit. The British Left needs to choose between the two realities of Remain and Leave, and push for its own politics — for Left politics, for Socialist politics. The reality of the British Right, today, especially the Tory Government, shows that only the British Left can lead the way forward on Brexit. In Britain today the major challenge is coming up with a solution to Brexit. The side of British politics, Left or Right, which can come up with a solution to Brexit is the side which will win this challenge and possibly win British politics for the foreseeable future. This means that the British Left cannot simply ignore Brexit but must come up with its own alternative to Brexit and its own solution to Brexit. Leaving Brexit in the hands of the Right and the current government would be a disaster, both if a Tory Brexit is a success and if a Tory Brexit is a failure. If the Tories fail over Brexit then British society and workers will suffer as a result. If the Tories succeed in their vision of Brexit then the likelihood is that they will dominate British politics and drag Britain down further into the mud and failures of neoliberalism and austerity. In short a Tory Brexit is a disaster regardless of whether it succeeds or not. The British Left must propose its own programme and politics for Brexit, and fight for that programme and politics. The challenge of Brexit is a challenge that no-one wanted but it is here now. The Left must have its own solutions and its own vision if it is to overcome both the Right and the challenge of Brexit. There are no easy answers over Brexit. Regardless of whether Britain remains or leaves the EU, the likelihood is that Brexit and its fallout will be difficult for Britain. The solutions to Brexit have to be democratic solutions. The fundamental fact about Brexit is that it needs to be democratic and it needs to be based on a democratic vote. This vote was expressed, however flawed, by the Brexit vote of 2016. Today this democratic vote needs to be expressed in a People’s Vote on the final nature of Brexit: both on the nature of Brexit and a possible vote to remain in the EU. Only this process can ensure that Brexit is truly the democratic wish of the British People. Brexit has the potential to either break Britain or to make a new Britain. This stark choice is clear given the reality of Brexit and what it represents for both the politics and the history of Britain. British capitalism might survive Brexit or it might come crashing down. Brexit might be a good idea or a terrible idea. Brexit might continue to divide the British Left. Brexit might even unite the British Left. Brexit, however, will certainly change both Britain and the British Left. This is a natural political dispute and the merits and faults of Brexit need to be debated by the British Left. What, however, needs to happen is that the British Left needs to come to a common position about Brexit and the future of Britain. Remain or Leave both have strengths and weaknesses but the British Left needs to pick a side and push for that side. The British Left needs to have consistent politics about Brexit. While the British Left might be divided over Brexit, the British Right is falling apart over Brexit. This reality of the collapse of the British Right over Brexit is a promising sign that a resurgence of the Left is still possible in Britain. The Left might be disunited over Brexit but the Right has completely collapsed over it. The current Tory government, under May, might not even survive with the current reality of Brexit and the current split in the Tory government over the nature of Brexit. In the end, Brexit might be dividing the Left but it can never divide the Left as much as it is dividing the Right. The Left needs to find a common politics about Brexit — a politics that puts the interest of workers ahead of all other politics — and unite on this basis. The Right simply cannot do this. The old observation, in Chinese politics, about chaos and politics, is perhaps very apt in the current situation of British politics and British society: “There is chaos under heaven, the situation is perfect”. In the current chaos of Brexit is perfect for the Left to present a socialist alternative in Britain. David Charter, Au Revoir, Europe: What If Britain Left the eu?, London 2013.